Ceci’s major contributions fall into two areas, the reliability of children’s testimony and the bio-ecology of intelligence. In the former, his work with Maggie Bruck is widely cited in both scientific journals and court rulings, including the U.S. Supreme Court. Their integrative analyses in Psychological Bulletin and the Annual Review of Psychology have together been cited over 2,000 times (Google Scholar). Their findings revealed major developmental shifts in children’s report accuracy due to a confluence of social, cognitive, and neurobiological changes that unfold over middle childhood. Their book, Jeopardy in the Courtroom: A scientific Analysis of Children’s Testimony won the APA William James Book Award. Ceci’s research on the bio-ecology of intelligence has produced several classic papers. His experimental analysis of the relationship between complex handicapping at the racetrack and IQ that eventuated in his article with Jeffrey Liker, A Day At The Races (JEP:General, 1985) made Mensa’s list of the 5 most influential articles in the past thirty years. His work on the effect of schooling on IQ is highly cited as well because it calls into question the traditional view of general intelligence. His overall h index is 64, with ~23,000 cites. Ceci has appeared frequently in the national and international media to discuss his research findings, including: ABC’s 20/20 (twice), NBC’s Dateline (twice), ABC’s Nightline, ABC’s Good Morning America, ABC’s Primetime Live (twice), PBS’s Frontline (twice), CBS’s 48 Hours, PBS’s McNeil-Lehrer NewsHour, BBC (three times), CBC’s Fifth Estate, and numerous magazines and newspapers including the Wall Street Journal (twice), The New York Times (five times), The New Yorker (three times), The Washington Post (four times), Time Magazine (twice), Newsweek (twice), The London Times, and Reader’s Digest. 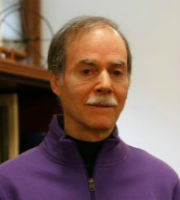 He is past president of the Society for General Psychology, and currently he serves on 9 editorial boards, including Scientific American Mind and Psychological Bulletin. * The FABBS Foundation would like to thank Dr. Robert Sternberg for nominating Dr. Ceci for this honor and for leading the effort to spread the word about his nomination. Would you like to honor Dr. Ceci? It’s not too late to have your name added to the list of donors! You can make your donation to Dr. Ceci’s In Honor Of… campaign at anytime.